We are excited to announce today at the NAB Show that Universal Sports Network has rolled out the Brightcove Video Cloud online video platform to deliver live and on-demand sports coverage to its website, UniversalSports.com. Universal Sports Network, a partnership between NBC Sports and InterMedia Partners, LP, is using Video Cloud to deliver more than 2,000 hours of original, Olympic, adventure and endurance sports programming to both Flash and HTML5 desktops and devices. Video Cloud is enabling Universal Sports Network to deliver live and on-demand coverage of world and national championship events in sports like swimming, track and field, gymnastics, cycling, skiing, figure skating and rugby. And with Video Cloud Smart Players, content is optimized for every viewing screen. 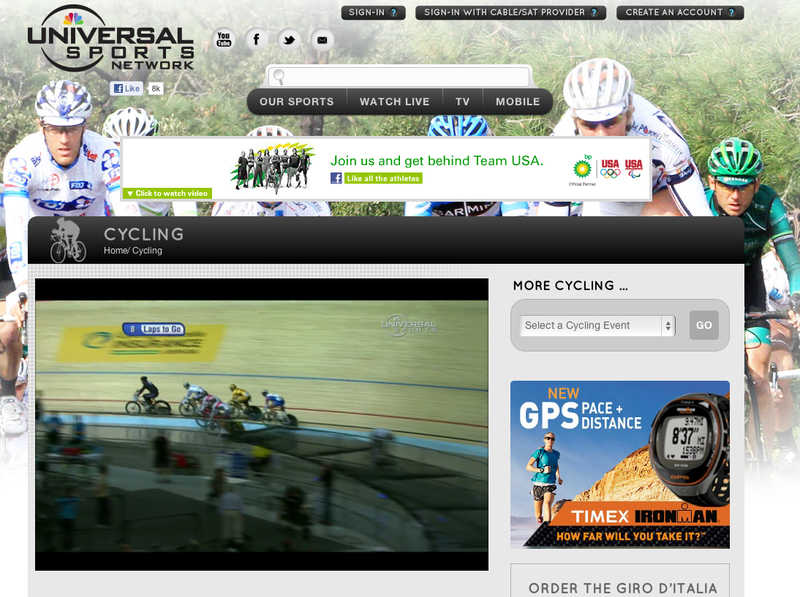 Video Cloud was also integrated into Universal Sports Network's existing WordPress CMS, making all of the features and functionality of Video Cloud available within the WordPress environment. Universal Sports is also leveraging Adobe Pass to support authentication against cable and satellite subscription credentials to control access to protected content, while viewers can subscribe to content packages through a content management platform provided by CSG International. Today's announcement comes on the heels of another exciting Brightcove-powered initiative with NBC, as we recently announced that NBC leveraged the Brightcove App Cloud content app platform to build and operate the NBCU Screen It Emmy screener iPad app. You can learn more about how organizations like NBC are taking advantage of both Video Cloud and App Cloud this week at the NAB Show in Las Vegas. Brightcove will be exhibiting in booth SL10505 at the event.